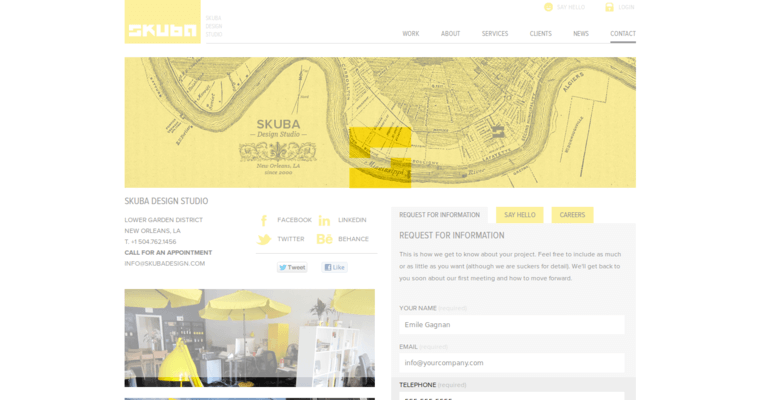 Skuba Design Studio is a web design company located in the Garden District of New Orleans. The company works to create competitive and current products that are tailored to our companies needs. 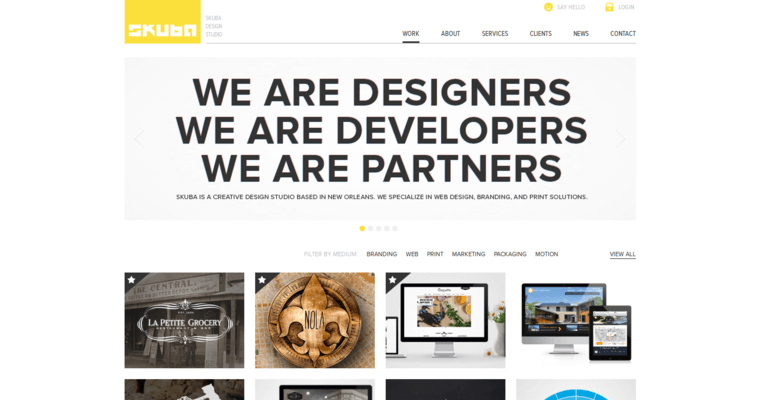 Skuba design assists companies with all aspects of business and design experts will work directly with your company to assure that your goals are met. 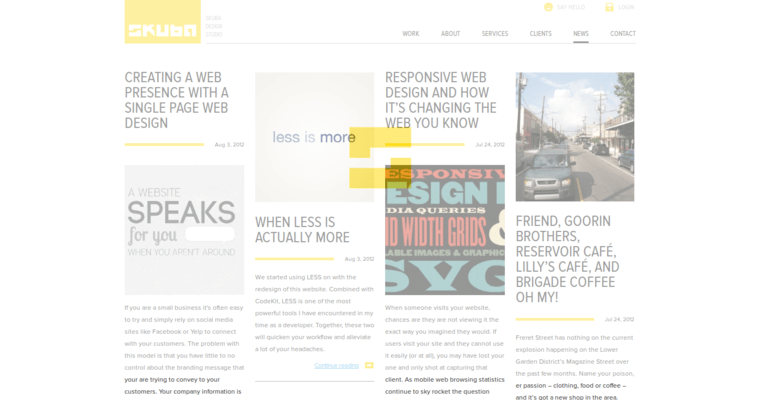 Skuba Design offers a variety of services including web development, print design, and software development. They also offer web and social media strategy services to help increase the number of customers a company is reaching. They also deliver marketing techniques to assure that your company is reaching its maximum potential. Skuba Design can assist with company business research, logo design, naming and branding development. Once created, they can print business cards, brochures and other business needs. Skuba design has everything your company needs to get going and also has the requirements to keep your business running smoothly and efficiently.